Our modern 3 Axis Milling section is equipped with the latest vertical machines. These machines are able to create large components with great accuracy. They are also great for heavy cuts and metal removal. Our machines can be used to create one big component or lots of little ones in one go. We have six 3 Axis Milling machines which are used for larger and less demanding components. However, we are always thinking about reliability and optimising our workflows to make the most of our production line. We also have six 5 Axis Milling machines, which can be utilised for creating larger components if necessary. This is done by simply removing the 5 Axis add-ons to the machines to convert them into 3 Axis machines. This creates flexibility in our machining process, allowing us to move jobs around should we need to and ensuring the same consistency and quality customers expect from us. A few large or multiple smaller components can be bolted on to the base and worked on simultaneously. 3 Axis Milling works through the X, Y and Z axis fields to create components. These machines deploy incredible accuracy and flexibility in their production of larger components. The sorts of materials we use on our 3 Axis machines include: plastics, ferrous and non-ferrous metals e.g. Kovar, stainless steel and aluminium alloys. 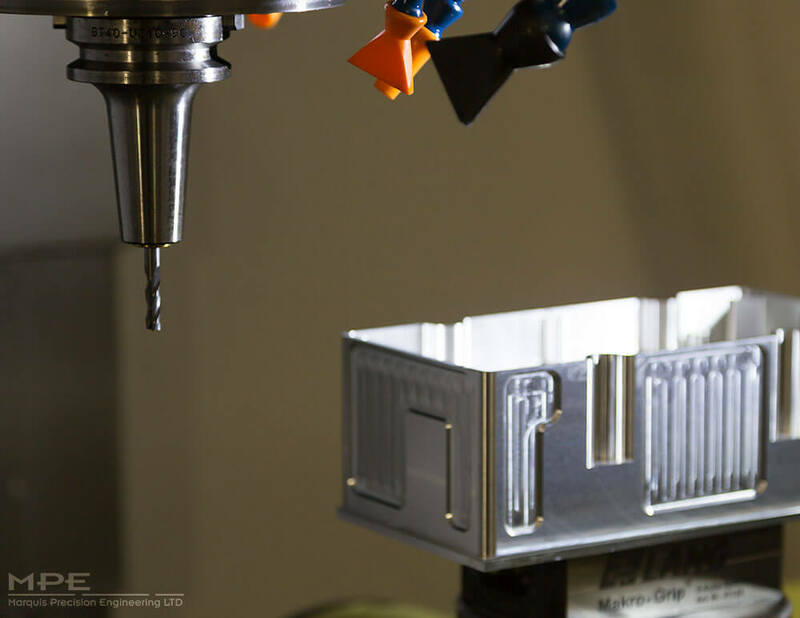 All our CNC Milling machines are self-checking, constantly using feedback loops to regulate the process and make sure everything is running smoothly. If a problem is flagged up the machines will shut down automatically.